A gentle, flowing massage with light or medium pressure to inspire ultimate relaxation. Movements of Swedish massage include effleurage (sliding or gliding), petrissage (kneading), tapotement (rhythmic tapping), friction (cross fiber), joint movements and stretching. Studies have shown that massage can improve circulation, range of motion, reduction of blood pressure and stress. Gentle styles of massage can produce profound release and realignment in the body. Deep Tissue massage focuses on the muscles located below the surface of the top muscles. Deep tissue massage is often recommended for individuals who experience consistent pain, are involved in heavy physical activity, such as athletes, and patients who have sustained physical injury. This therapeutic massage focuses on the deep layers of muscle, fascia and connective tissue to help restore balance and integrity to the body. A regular sports massage can help prevent injury by improving the condition of the muscles. Sports massage is a type of Swedish massage that stimulates circulation of blood and lymph fluids. Some sports massage movements use trigger point therapy, deep tissue, stretching and the use of heat or cold applications. Pregnancy brings about significant change and impact on your body as it alters to accommodate the new life within you. In addition to reducing stress, taking the time for a regular massage can benefit you in many ways It can Increase the flow of oxygen and blood to your tissues, accelerate the flow of nutrients to both you and your baby, relieve backaches and other pains often experienced during pregnancy, and decrease swelling and edema. 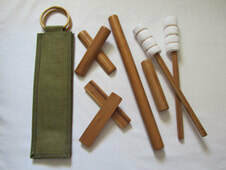 The Thai Herbal Poultice Massage is a deep heat medicinal muscle treatment that dates back to 14th Century Thailand when a hot pack was administered to war soldiers returning from battle and remains an integral part of Thai Medicine. The heat, combined with the organic herbs are absorbed by the body and help reduce aches & pains, stimulate circulation, increase lymphatic drainage, detoxify and condition the skin. The tradition of herbal healing dates back for centuries & is an integrated system of medicine incorporating the Indian Ayurvedic system with Chinese practices, mixed folk medicine and the belief in the powers of nature and earth. Bamboo Fusion is a new, relaxing form of massage that combines the techniques of massage and the benefits of soothing heat with the invigorating energy of bamboo and rattan. The bamboo is heated with an electric pad and used to literally roll and knead away the aches and pains of everyday stress. Chair Massage is short in duration ranging from five to 30 minutes and is performed by a professionally licensed massage therapist on a portable, specially designed ergonomic massage chair while the client is fully clothed. Because of its ease in portability and comfort, Chair Massage is often performed in a public venue. This service is frequently offered by business owners at employee and customer appreciation events and in airport kiosks. Also, wedding showers, baby showers, sports and charity events are popular venues for chair massage. This therapy focuses primarily on key tension areas in the neck, back, shoulders and arms. 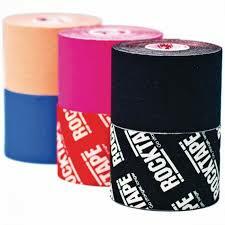 Kinesiology tape can be worn by almost anyone from children to the elderly. Because the glue is acrylic it contains no latex so can be used by those allergic to most other tapes. Very occasionally it can cause an allergic skin reaction.